kirkwoodstudentmedia students can sell The Science of Basic Health and Fitness (ISBN# 1465249397) written by NETHERLAND; BETH, Beth Netherland, BREKKEN SHEA; KIRSTIN, Kirstin Brekken Shea, DARNELL; GAYDEN, Gayden Darnell, AGNOR; DOTTIEDEE, Dottiedee Agnor and receive a check, along with a free pre-paid shipping label. 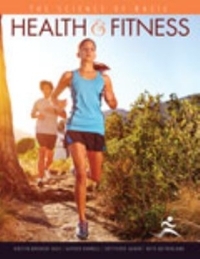 Once you have sent in The Science of Basic Health and Fitness (ISBN# 1465249397), your Kirkwood Community College textbook will be processed and your check will be sent out to you within a matter days. You can also sell other kirkwoodstudentmedia textbooks, published by Kendall Hunt Publishing Company and written by NETHERLAND; BETH, Beth Netherland, BREKKEN SHEA; KIRSTIN, Kirstin Brekken Shea, DARNELL; GAYDEN, Gayden Darnell, AGNOR; DOTTIEDEE, Dottiedee Agnor and receive checks.